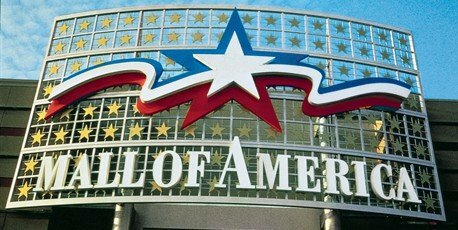 Mall of America is implementing their parental guidance rule all day on Black Friday, banning anyone under the age of 16-years-old has to be accompanied by someone who is over 21. The Bloomington, Minnesota mall is one of the most crowded places to be on the busiest shopping day of the year, and though they normally just use the rule on Friday and Saturday evenings, they are extending those hours this year to stem off trouble. On December 27 last year, the chaos of the crowds was coupled with a fight the involved a chair-throwing melee, so this year mall administrators are looking to lessen any damage. “We had never opened at midnight on Black Friday prior to last year,” Mall of America’s vice president Dan Jasper told NBC’s Today. Crazed bargain hunters started lining up Black Friday deals at commercial stores throughout the country as early as Monday evening. Best Buy shoppers in California have started pitching tents outside several store locations, more than 100 hours before the company’s big holiday sale begins. Shoppers in Arizona are also getting an early start in line, equipped with soda, water, snacks, laptops and air mattresses. According to CBS San Francisco, more and more retailers across the country will require big buyers to hand over their driver’s licenses so that the store can keep a record to place alongside your purchase history. In doing so, they will be able to keep tabs on who makes multiple returns after the busy shopping day. If an individual abuses the system, they may have their right to return unwanted goods taken away for future purchases. The flood of bargain hunters could mean an even bigger headache for holiday workers this year. Retail employees recently began protesting the earlier shifts they were given this Black Friday as several chain stores have decided to open earlier than previous years. Target, Walmart, Sears and Toys R Us are all opening their doors between 8 and 9 p.m. this Thanksgiving, two to four hours earlier than last year. That news led to the organization of a national Black Friday walkout among Walmart workers and more than 40 petitions on Change.org protesting this year’s Thanksgiving shifts at several big chain retailers. Adding to the mayhem of hundreds of thousands of people expected at the Mall of America, they are following in the footsteps of other retailers who are doing what they can to draw the ready-to-spend crowds on Friday. The Star Tribune reports that American Idol winner Phillip Phillips will be performing inside the Mall, which is the second-largest in the country in terms of space throughout the entire United States. Part of the problem was that the Mall, which typically welcomes more than 40 million people per year, became a hotspot for teenagers to see and be seen, as opposed to simply going through their Christmas shopping list. “Last year we experienced a large influx of youth, more than we had anticipated,” spokesman Bridget Jewell told the Pioneer Press. Administrators are hoping that the adult guidance policy is good on all fronts. “Retailers love the policy. When we first implemented it, there were concerns that sales would drop. But sales increased following the implementation and remain strong. It encourages more families to come out with their kids and sales went up,” Dan Jasper said.